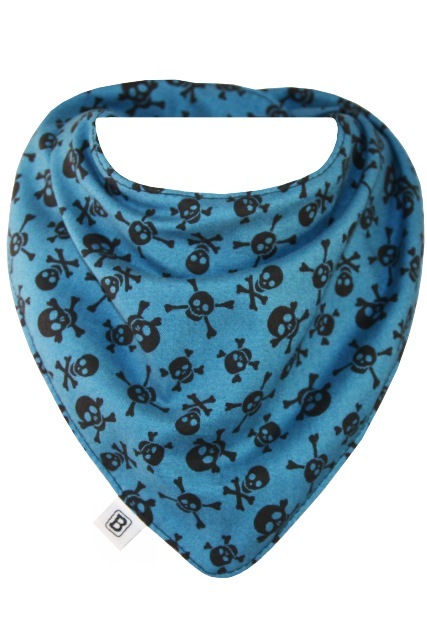 Bibska bib makes a fine bandana bib and this little skull and cross bone bib just suits a little pirate cutey. Team it up with some of our other pirate toys and accessories for a great baby gift basket. For more informaiton about Bibska Bibs features click here. Note: Image placement on bibs may vary.